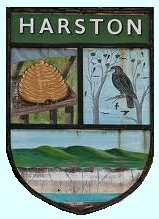 Harston Village Hall uses personal data for the purposes of managing the hall, its bookings and finances, running and marketing events at the hall, staff employment and its fundraising activities. Data may be retained for up to 7 years for accounts purposes and for longer where required by the halls insurers. If you would like to find out more about how we use your personal data or want to see a copy of information about you that we hold, please contact the hall Secretary. Both our Booking and Invoicing systems are provided by recognised online software, password protected and only accessed by staff or trustees. In general we record name, address and contact details of hirers plus staff details for tax and insurance purposes.